I've built a music player using MPMediaPlayer, and I can communicate with it from the Command Center, but I will also be able to see it on the Lock screen. To be honest, I'm a little confused as to why it is showing / working in the Command Center, since I haven't written any code to do so. Still, I would also like to show it in the Lock screen. 5) I know I haven't implemented anything to actively update the information or respond to commands, as I'm just trying to get something to show on the lock screen at this time. 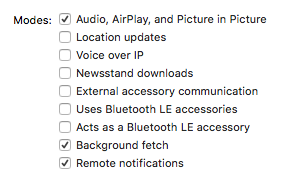 Why is the playback information in the command center if I haven't done anything to say it there? What do I have to do to get the information displayed on the lock screen as it does in the command center? EDIT: I sent this as a bug to Apple, but they have not yet verified or solved this.